These are the most common insurances accepted by Dentists in Saint Petersburg, FL. Dr. Martinez, Yvonne and all the staff are always professional and friendly. 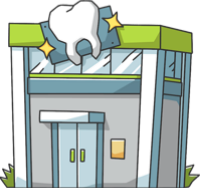 I value always seeing the same faces when I come in and the high level of care I receive..
Best dental offcie I have ever been too!!. I never understood why so going to the dentist was such a nightmare for many people. I've been going to Dr. Tellios for most of my life and can't imagine going anywhere else. You get the whole package here. From the moment you walk in the door til the moment you leave you are treated like family. Complimentary water/tea/coffee are offered and you are always greeting with a smile and kind words from the lovely receptionist Abella. Your are promptly seen and if there happens to be a small wait you can relax in a massage chair. Dr. Tellios is very attentive and you can tell he not only is excellent in his profession but that he enjoys his job and the people he serves. I would recommend this practice to anyone and everyone, definitely a cut above the rest!. Dr. Spinuso is the most caring, genuine dentist around!. I was very pleased with the service I received. Everyone in the office that I dealt with were pleasant and polite. I disagreed with the sales pitch about bone lose and treatments needed , because I am 76 yrs. old and well aware that I do not have the greatest set of teeth as I have not taken care of them for many years. I feel my teeth will out last my years left on this earth.